Tara or Arya Tara, also known as jetsun Dolma I n Tibetan, is said to be the female embodiment of Buddha. She is the “mother of liberation” and is known as the source of symbolizes warmth, compassion and relief from bad karma. 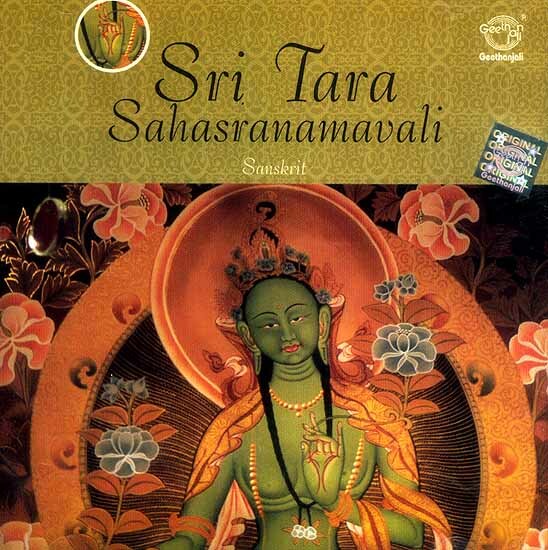 This CD contains a spiritual chant that encompasses Tara Sahasranamam, or a thousand names of Goddess Tara. By reciting this mantra and visualizing her form, one can become open to her energies of compassion and wisdom. Meditation on Tara Sahasranamam yields many benefits. for one, it reduces the forces of negative karma, sickness, afflictions and other obstacles. The mantra helps generate purity within the heart of the practitioner and cleanses the psychic channels within the body. For true seekers of the divine, Tara meditation is means to attain true spiritual satisfaction.